Yet another excellent Siouxsie and the Banshees cover version (see more here). Synth horns! Cymbal crashes! A quivering British accent! Night Riots’ “Halloween” scares us, if only because it’s so good. While Siouxsie and the Banshees’ frantic original was driven by gritty guitars, Night Riots’ cover reimagines the song with still-spooky New Wave vibes. The California rockers (and O Music Awards alumni) nail their ’80s costume, from the drum sounds to singer Travis Hawley’s committed vocals. “Trick or trick, trick or treat!” he sing-shouts, and we might have to hide under the bed. Listen to Night Riots’ “Halloween” cover, and check out their new single, “Alone With The Undead,” after the jump. With an upfront backbeat, it’s a surprisingly bouncy track — zombies can’t dance, right? — and kind of sweet, too: “I’m better off with you than alone with the undead,” Hawley sings. Perfect for the next zom-rom-com. The band plays Encinitas, Calif., tonight, and we’re betting they’ll dress up — selfies or it didn’t happen, Hawley. 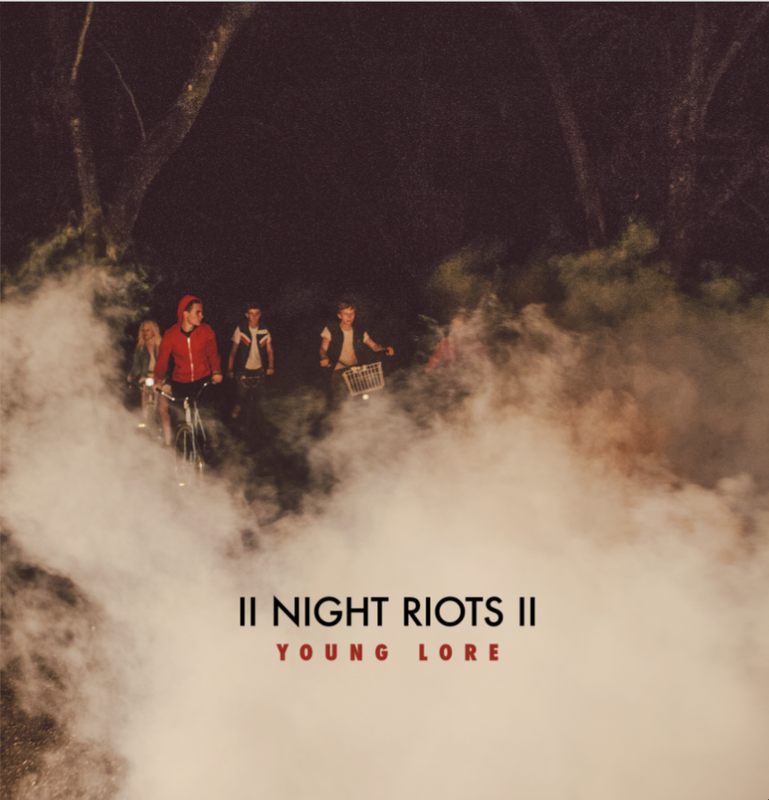 Night Riots’ six-song Young Lore EP dropped this summer, and they’ll tour California in December, which would be great timing if they wanted to deliver a haunted, synth-fueled version of “Jingle Bell Rock.” Or an album! We’ve been really good this year — just ask Santa.